Author brianPublished on 24 February 2010 26 June 2010 Leave a comment on I built an Elmo! 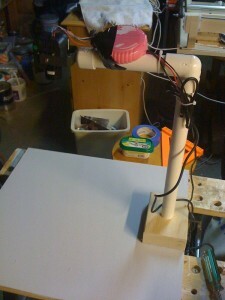 For those of you who do not know... and Elmo is a document camera. Basically what I did here is I took an old security camera (from a dome) that was abandoned and re purposed it with some pvc pipe and wood, etc. I had to rewire the camera to a 12v wall wart plug and also change the composite video out to an RCA jack. 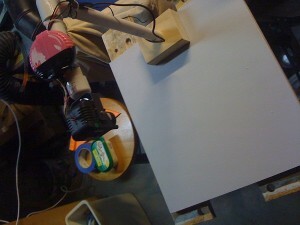 I mounted the camera on the end of a piece of PVC pipe attached to some scrap wood. The pink thing on the top of the Elmo is a plastic gum container that is holding a circuit board that is needed for the camera. It is there for protection and is screwed to the pvc pipe. Not pretty, but functional. 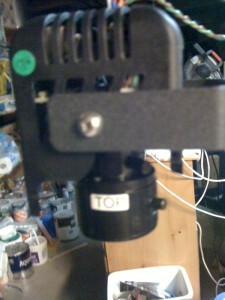 The whole thing does work and produces a nice clean video signal that I can output to a projector. I hope to be able to use it for LVL1's Freeduino soldering classes. The only problem with it is that it shows skin tones and tans as a green color. I think this has to do with the white balance or something. Published on 24 February 2010 26 June 2010 Author brianCategories diy, video, workshopsTags diy, elmo, video, workshopsLeave a comment on I built an Elmo! 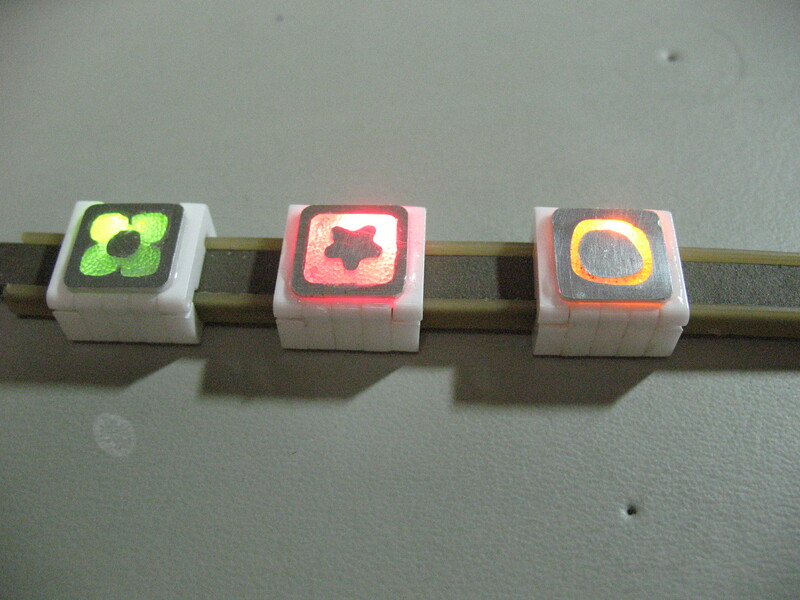 Lighted buttons for sensor project. The different designs and LED colors help keep track of different iterations of the PCB that's inside each button. This is continued from my previous post about using Inkscape to draw pcb and front panel designs. When I last left you, I had created a multi-layered inkscape drawing that had front and back designs for the PCB along with a drill pattern for the panel. First I'm going to get out my Toner Transfer paper. This is thick stock paper with a water soluble coating. It allows you to fuse a printed image to a surface and then remove the paper when submerged in water. 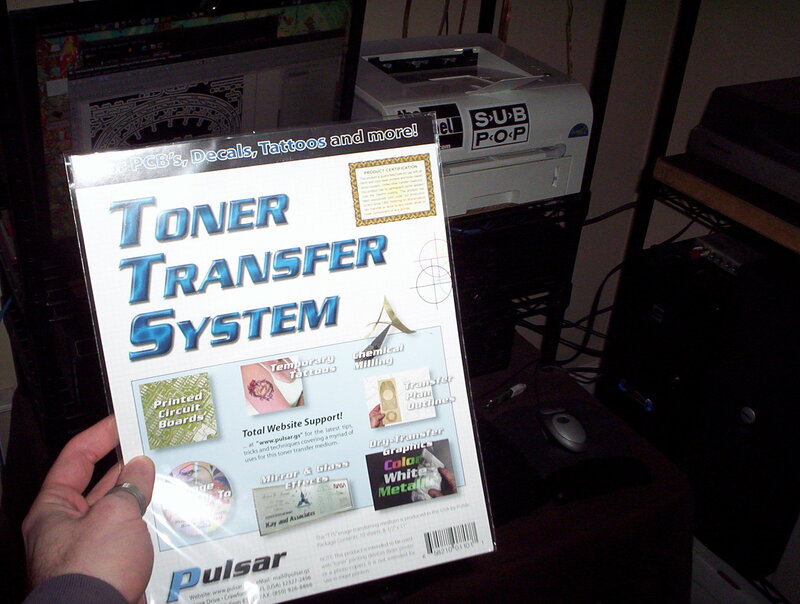 The stuff is a little pricey at about $1 a page, but it's well worth it for making good clean transfers. 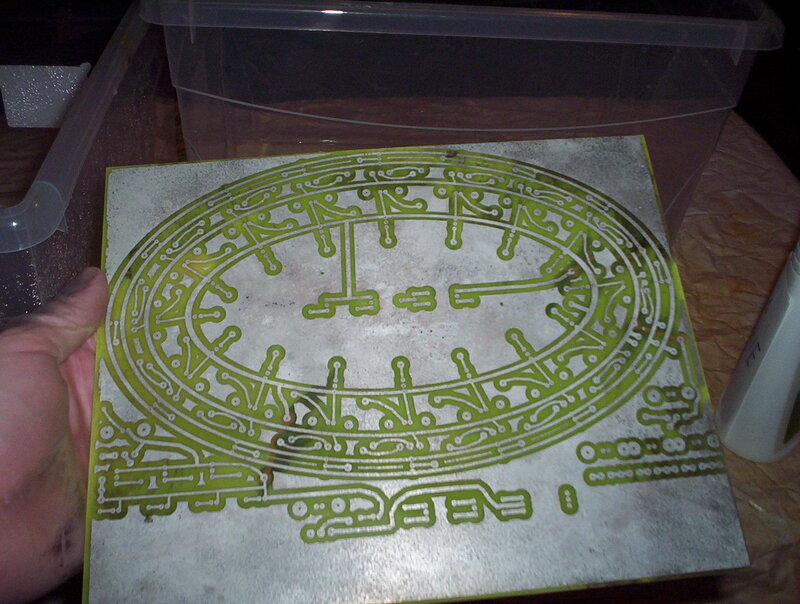 I'm using my home laser printer to make the PCB transfer. 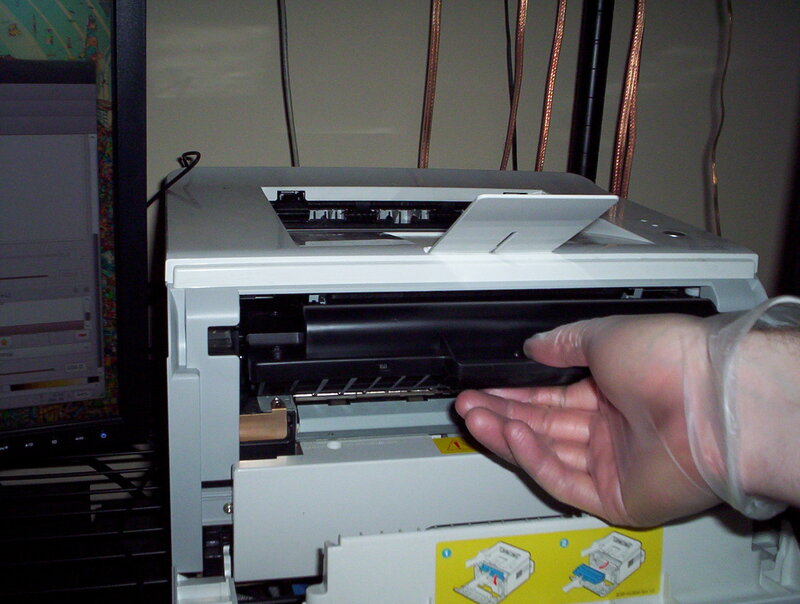 Ink from a laser printer is fused to the paper when heat and pressure is applied. Note that an inkjet printer uses a different method not suitable for the process I'm describing here. LASER PRINTERS ONLY. I keep a spare laser printer cartridge that I use solely for making PCBs. It's best to have a dark layer of ink. Regular printing jobs will run down the cartridge and I do this often enough that it makes sense to have a separate cartidge. 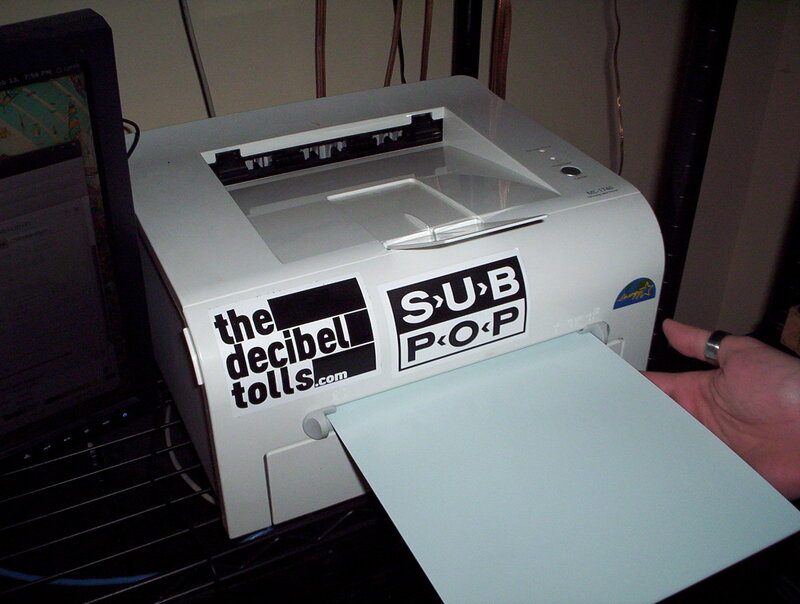 I start the print job and manually feed the Toner Transfer paper. Make sure you're printing on the shiny reflective side! ...continue reading "Creating Custom PCBs for a Front Panel"
I ordered the parts we'll need to do the first 5 experiments. I bought everything from Jameco. Here is the list of part numbers I used in case anyone is interested. We'll start work next week.